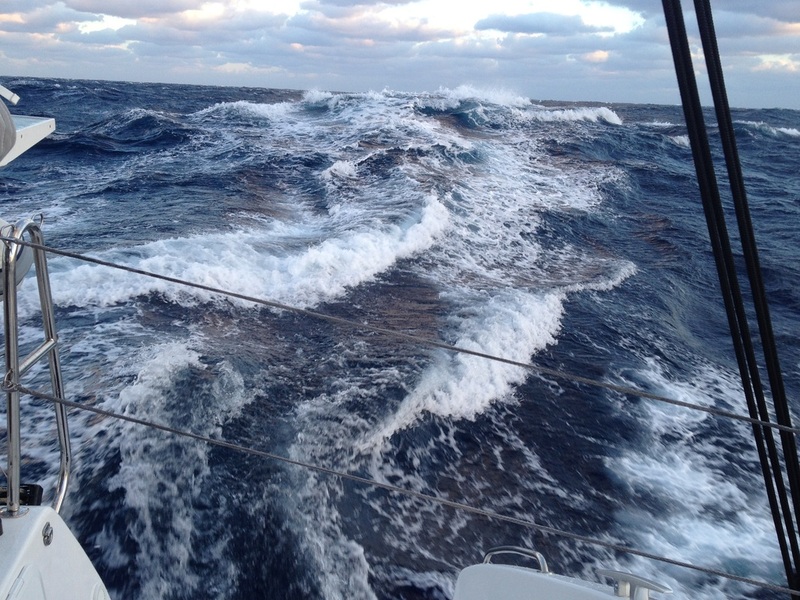 In the fall of 2014 we made our first transatlantic crossing on an Outremer. Davali was Hull #3 of a new line of Outremer 45's. 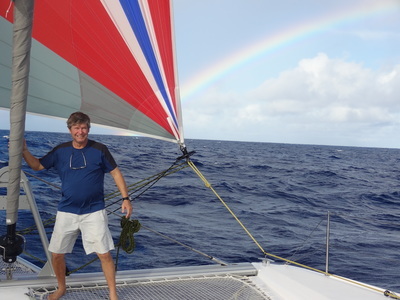 Adam Friedlander still owned a monohull, had loved his Hobie Cat and now was ready to move to a gorgeous performance catamaran. Adam, like so many Outremer owners, is an entrepreneur, an author of two books and goes at life with a sense of fun, adventure and passion for everything he does. 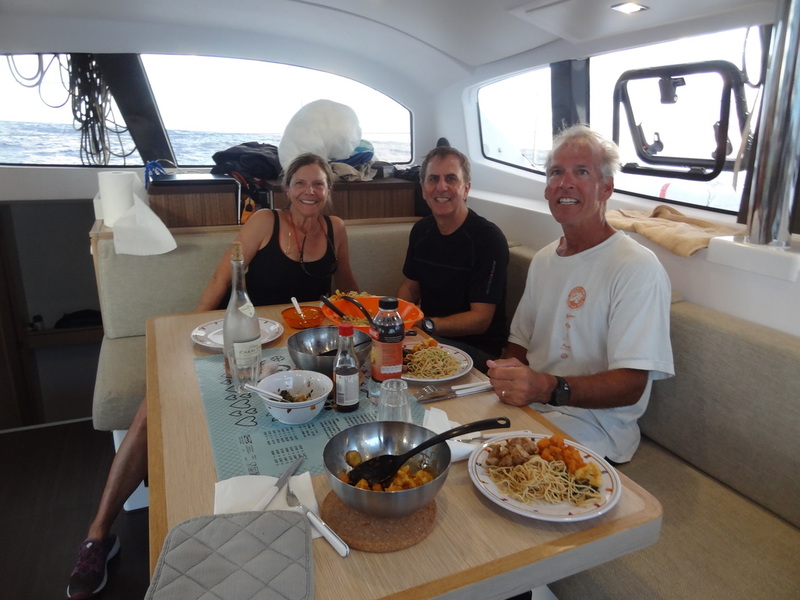 In June of 2016, we joined Adam & his wife Lisa for a week of shakedown cruising along Long Island sound. We had a rip roaring ride from Stamford, Ct where Adam winters the boat to Shelter Island where Davali & the Friednlanders spend their summers. Wind & weather in the June with light crowds make for great sailing along the sound and the southern coast of New England. 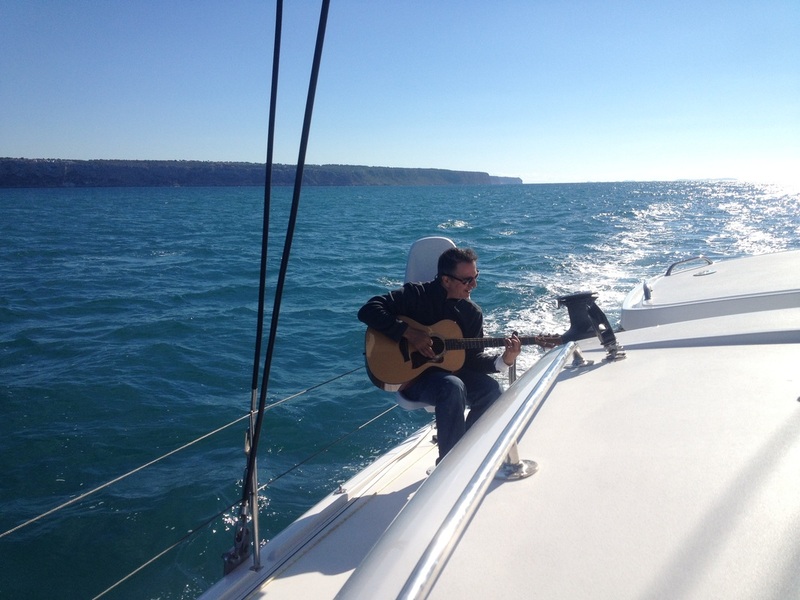 Adam shipped his guitar to France so he could play his way across the ocean. What a great way to combine your two favorite hobbies. 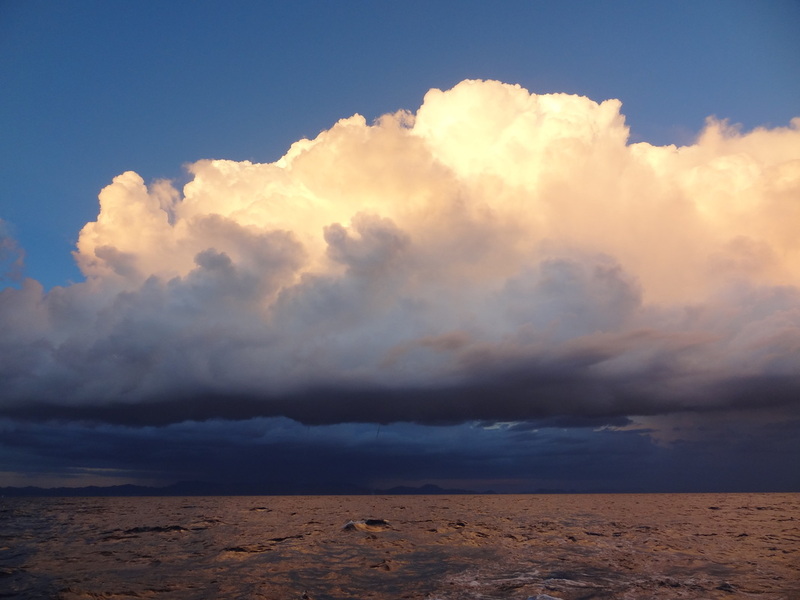 The Med can provide some exciting sailing and breathtaking cloud formations. 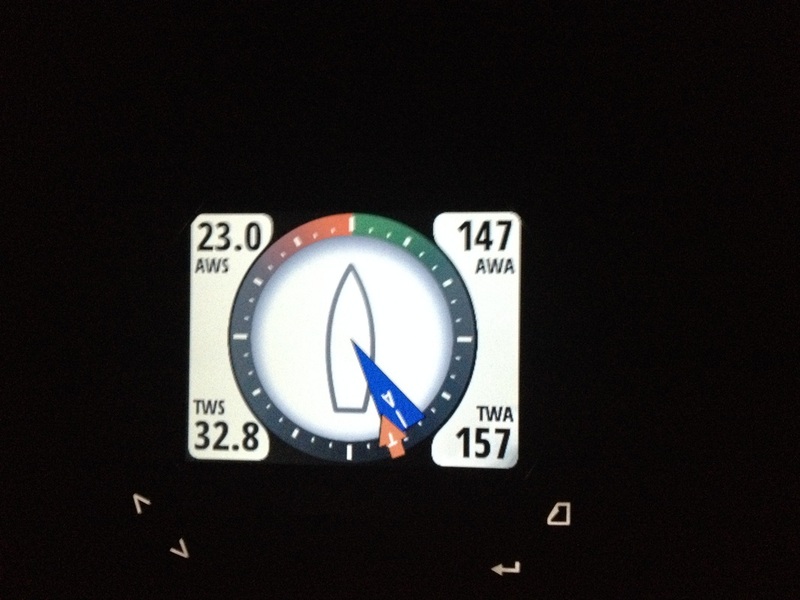 We had a storm chasing us out of Cartagena with 2 waterspouts! It didn't catch us. 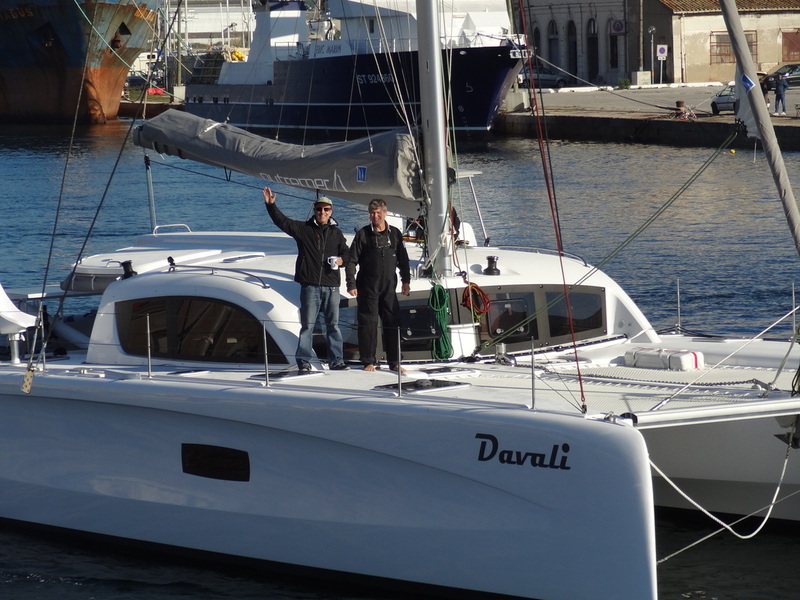 Davali is a fast boat and we got lucky. A distinct difference between day or weekend coastal sailing is the wear on intersecting materials as they spend hours and days in abrading contact. Daily inspections of lines, fittings and all contact points is a must. 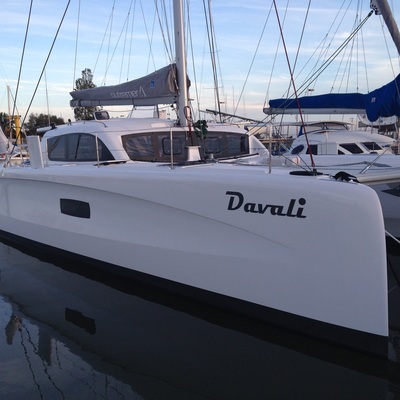 Davali, just about finished with her commissioning. Jan & Adam as we pass under one of 7 bridges during our test 'sail'. 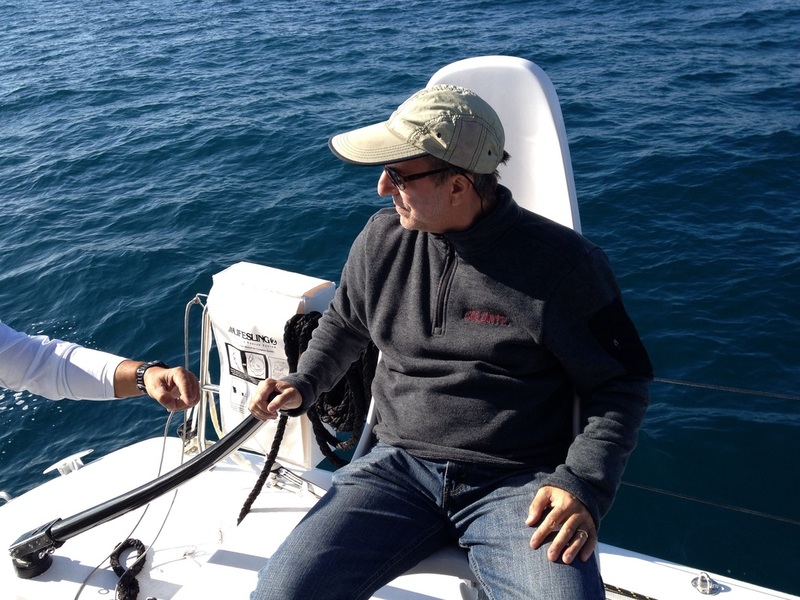 Adam at the tiller of Davali. 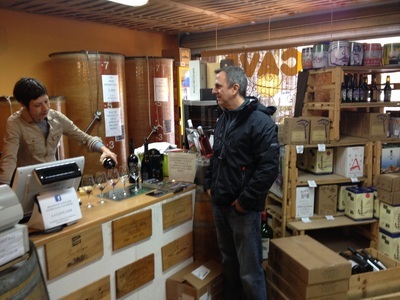 Provisioning out of La Grand Motte includes a visit to the local wine shop. Hard to capture a big following sea on film. But trust me, this is one. Leaving the Med often includes rather strong winds, especially in Gulf de Lyons. 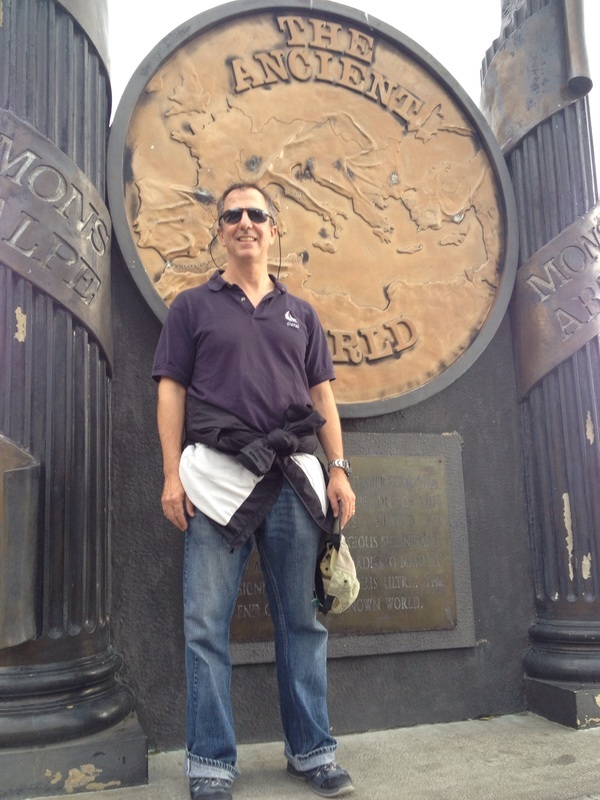 Adam & Claudia climbed the rock of Gibraltar. 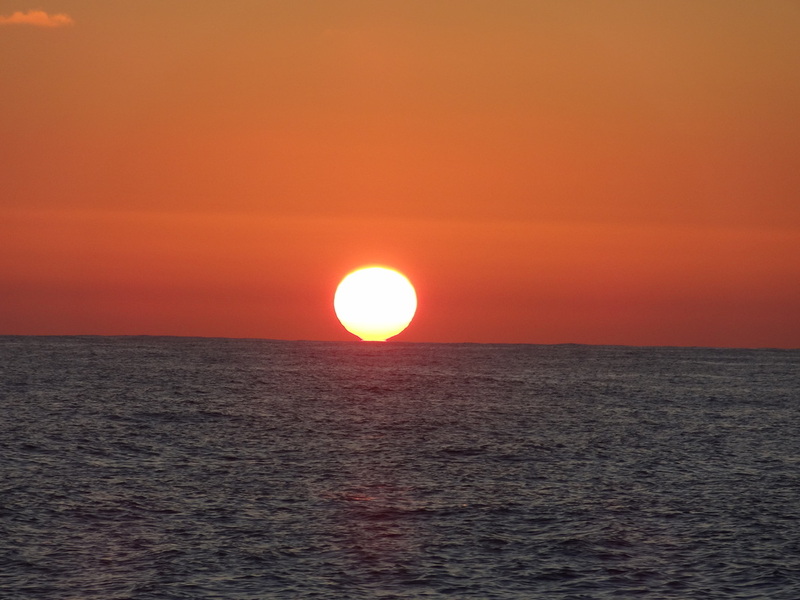 Sunsets never fail to transfix our gaze. Jan, a rainbow and a spinnaker. 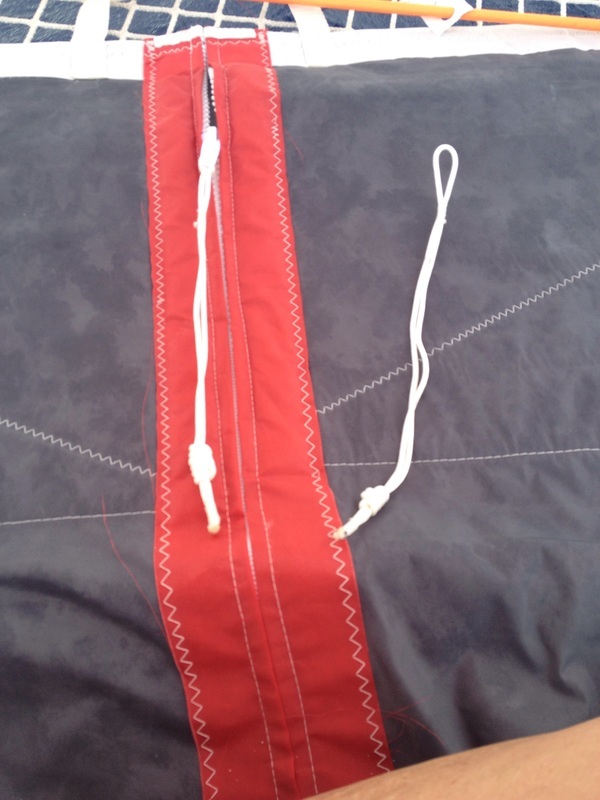 Claudia made zipper pulls for the sailbags. You can eat rather well on a cat. Claudia, Adam & our ever cheerful crew member, Larry. 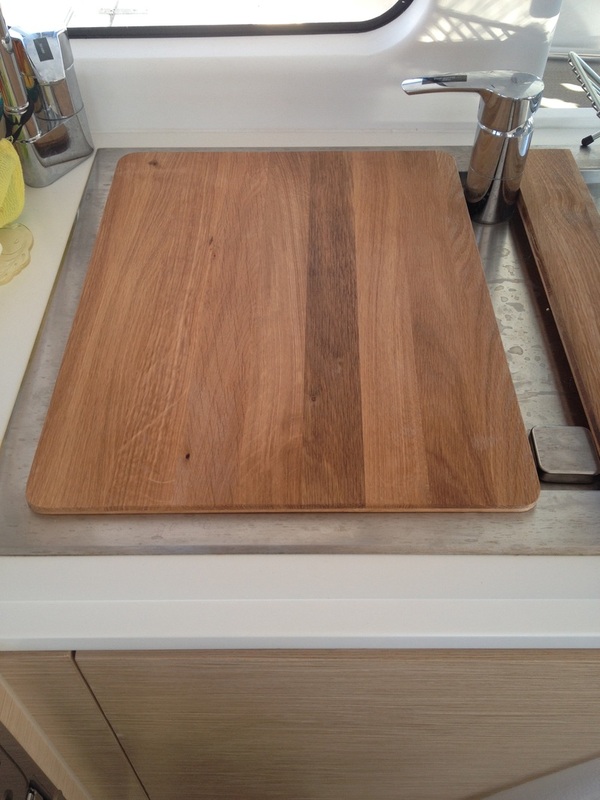 One of my favorite commissioning extras, a teak board over the sink.